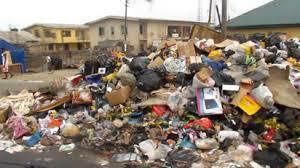 With time, refuse will disappear in Lagos streets, says Hunpe – Royal Times of Nigeria. Badagry (Lagos State) – Mr Babatunde Hunpe, Special Adviser to Lagos State Governor on Environment, has assured Lagosians that the state government is making efforts to ensure that refuse disappear in Lagos streets. Hunpe gave the assurance in an interview in Badagry According to him, we are working with the experts in the sector and Private Sector Participants (PSP) operators to ensure that things work out.